Superfast 4G can give you mobile internet that’s as fast as home broadband. But what exactly is 4G, and how do you buy the right package? At Broadband Genie we’ll explain everything you need to know, and show you how to compare and buy the best deal. 4G mobile internet is the latest technological jump in mobile broadband. It’s the 4th generation of mobile networks, hence 4G coming after 3G, which followed 2G. If you're completely new to the concept of mobile broadband we suggest you check out our comprehensive beginners' guide before you continue. What really matters though is that 4G is much faster and can provide true broadband internet access on the move. There’s a good chance you can receive a 4G service right now. EE introduced the UK's first 4G network in October 2012, followed by Vodafone, O2 and Three in the last quarter of 2013. 4G mobile broadband is now available in the UK's major cities and towns, and many other locations too. How fast is 4G mobile broadband? Under real world conditions 4G mobile broadband can exceed 20-30Mb, though as always this is dependent on a strong signal and the amount of network congestion. Our own experiences with 4G suggest 10-20Mb is more common, but as coverage improves this will change. The theoretical speed is actually much higher, being 100Mb+, but it will be quite some time before we can hope for 4G mobile broadband speeds in that category. However, what it can offer right now is instantaneous browsing and streaming of content, as well as lightning fast downloads. It should also be a really big boon for mobile Wi-Fi and MiFi units, as that kind of capacity means a bunch of laptops, tablets and other mobile broadband compatible devices will be able to operate at once from a single mobile broadband SIM. What do I need to use 4G mobile broadband? 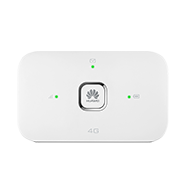 There are two things you need to get online with 4G: a SIM card, and a 4G dongle or a compatible device with an internal 4G modem, such as an iPad. What SIM card do I need for 4G mobile broadband? The mobile broadband SIM card needs to be the correct size for your device, and it must have an active mobile broadband service plan - either a contract deal or pay-as-you-go. You can pick up a SIM and dongle separately but it’s usually best to purchase them as a package, that way you get everything you need and you know it will all work. What dongle do I need for 4G? You can use any 4G dongle that is compatible with UK networks. Dongles purchased abroad may not work here, so it’s always best to get your dongle new from a UK network. USB dongle. Provides mobile internet to a single computer at a time. Cheap and compact, but the connection can’t be shared and it will only work with supported versions of Windows and Mac OS (Linux may also work but driver support is often lacking and you might have to figure out how to set it up on your own). Wi-Fi dongle. Creates a portable Wi-Fi network so any Wi-Fi enabled device can get online. Most Wi-Fi dongles support 10-20 users at once. A little more expensive, but well worth it for the added flexibility and convenience. In-car Wi-Fi. These are WI-Fi dongles designed for use in vehicles. They plug into cigarette lighter sockets to supply broadband to passengers while travelling. Currently there are no providers offering unlimited mobile data so you'll need to think about how much data allowance you'll need. The data limit of a mobile broadband package is one of the most important features to think about when comparing deals as it directly impacts how much you can use the service, and what you can do with it. Choose a limit that’s too high and you’ll be paying for data that’s not being used, go too low and it may result in additional charges. How much data you need depends on what it’s used for. File downloads and video streaming are very demanding and consume lots of data, while web browsing uses very little in comparison. Our guide to mobile broadband data shows the data usage of common software and activities which you can use to roughly estimate average data consumption. How do I compare 4G mobile broadband deals? Before doing anything else it’s crucial to check coverage in your location. The signal checker tools linked above let you see signal strength and service availability across the UK. The comparison table above will show deals which include USB dongles, Wi-Fi dongles, in-car dongles and tablets (including iPads and Android devices), plus SIM-only deals which do not include hardware. If you’re buying mobile broadband for the first time, select a dongle package. But if you already have the necessary hardware a SIM-only package is an easy way to switch networks. The ‘pay now’ column shows any up-front fees which have to be paid when you sign up for the deal. Dongle and SIM-only deals are usually free or very cheap, but buying a 4G iPad could involve a significant cost. Alternatively you could spread the cost by opting for a long contract with higher monthly fees. The fixed monthly cost you’ll have to pay for the length of the contract. Early cancellation can be expensive, so choose a short term or PAYG deal if you’re not certain it’s going to be required for the full 12, 18 or 24 months of a long term deal. Mobile broadband deals are very flexible, with the choice of PAYG, 30 day contracts and longer 12-24 month agreements. Long contracts offer the most megabytes for your money, but rolling monthly deals can be cancelled at any time without charge.